Today a team from Eyes on Animals visited pig farm Dykhoeve in Herwen. 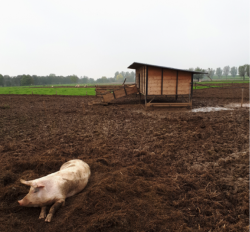 Farmer Jeroen keeps his pigs here in a more natural environment. The pigs walk in fields where they can dig the ground with their snouts and search for food. The pigs have wooden houses with plenty of straw, where they are free to go in whenever they want. 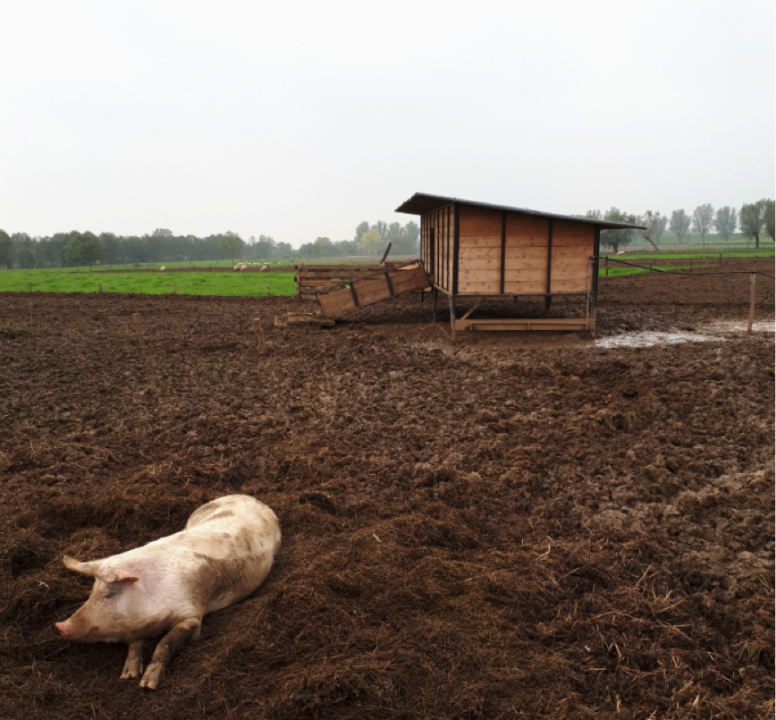 The pigs houses are built on poles, which allows them to lie down underneath. This allows the pigs to enjoy the shade in hot weather, or shelter from the rain. The pigs have ample space: 50 m2 per animal. Eventually also the pigs from Dykhoeve go to slaughter. Jeroen takes them to a small-scale slaughterhouse in the local area, eliminating the need for long distance transport and their meat is then sold on the farm. Dykhoeve does not have an organic quality mark due to financial constraints, but the animals are kept in similar and sometimes even better conditions than organic animals i.e. plenty of space, access to pasture. Unfortunately the pigs tails were docked, however, from now onwards, the new piglets will be purchased from a company who do not dock their tails. Jeroen also grows ‘amarant’. This herbaceous plant is high in protein and suitable for pigs. Although the pigs are already leading a good life, Jeroen continues to consider how the pigs environment can be improved. 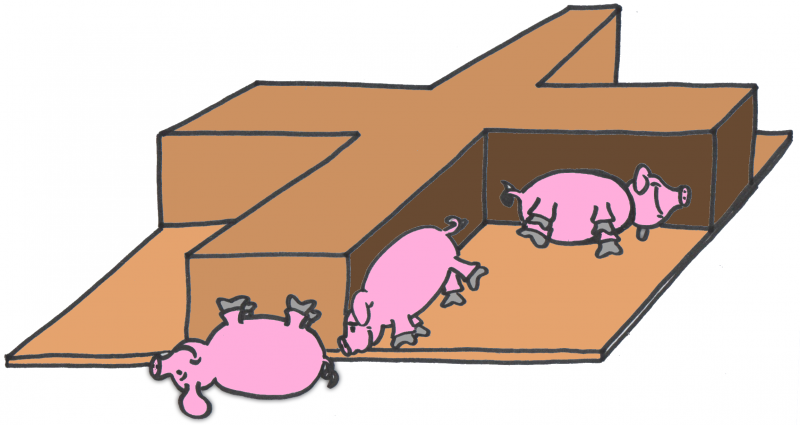 Eyes on Animals has advised Jeroen to build additional protective areas so the pigs can shelter from the wind and lie in the dry (see drawing). We also advised him to make more feeding areas so that the pigs who are lower in the hierarchy experience less stress during feeding. We thank Jeroen and Renate van Dykhoeve for their extensive explanation and tour of their beautiful company. Dykhoeve will be on our, ‘Better Farmers’ list. For more information see www.dykhoeve.nl.